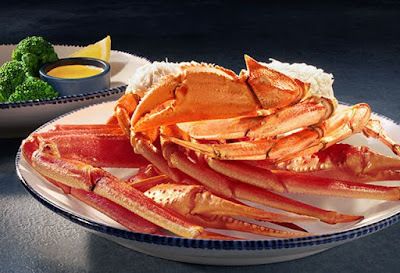 Crabfest makes its annual return to Red Lobster and brings with it the chain's largest variety of crab dishes for the year. - New Crabfest Combo - Over a pound of Jumbo Snow crab legs paired wild-caught Dungeness crab. Served with choice of side. - New Crab-Topped Stuffed Shrimp and Salmon - Crab topped seafood-stuffed shrimp finished with a citrus-and-herb beurre blanc, paired with fresh Atlantic salmon and drizzled with the chain' signature olive oil. Served with rice and choice of side. - Crab Lover's Dream - Wild-caught Jumbo Snow crab legs and North Pacific King crab legs, paired with Red Lobster's signature Crab Linguini Alfredo. Served with choice of side. - Crabfest Ultimate Surf & Turf - Crab topped seafood-stuffed shrimp finished with a citrus-and-herb beurre blanc, paired with a wood-grilled sirloin steak. Served with mashed potatoes and choice of side. 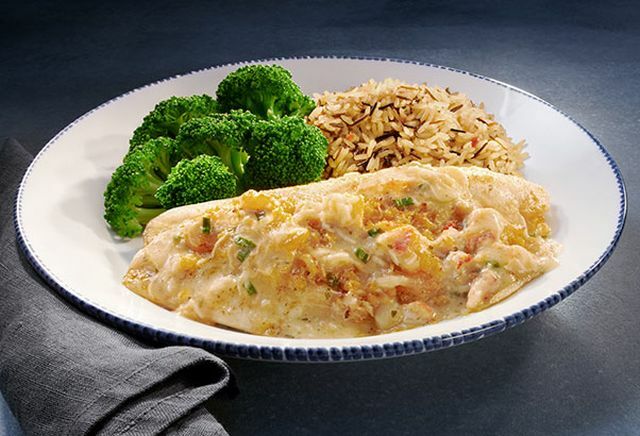 - New Crab-Topped Tilapia - Crab topped seafood-stuffed tilapia, roasted and finished with a citrus-and-herb beurre blanc. Served with choice of two sides. - Crab Bites and Fries - Panko-crusted deep-fried crab bites and French fries. - New Rogue Wave cocktail - Sauza Gold tequila, blue curacao, and house margarita mix topped with a splash of ginger ale and served in a collectible Deadliest Catch mason jar.